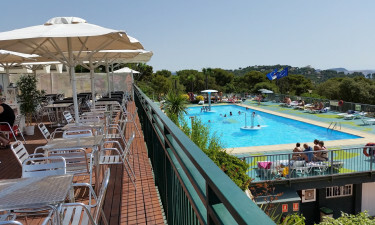 Those who have been desperate to find a luxury camping site within the heart of Catalonia will be impressed with what Cala Gogo has to provide. Tranquil weather, a host of on-site activities and splendid beaches await. Enquiries should be directed at a representative of LUX-camp. Please note: Please bring 1 passport photo per person. ID cards for your stay with photo will be issued on site. The ID-card is the only way to get access to the campsite. This campsite is idyllically situated on a hill and is NOT recommended for people with reduced mobility. Over 800 camping pitches to select. Modern and luxurious mobile homes. A wealth of on-site and nearby activities. 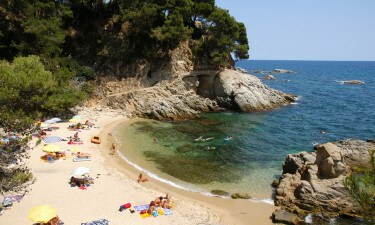 The tranquil climate of Catalonia. One of the aspects which has set the luxury camping resort of Cala Gogo apart is that there are a kaleidoscope of activities to enjoy. Those located within its confines include table tennis, volleyball, tennis and swimming. Venturing only a short distance away provides families with additional options including (but not limited to) swimming in the ocean, miniature golf, golf, sailing and surfing. Boats can also be hired and there is a slipway found a mere 3 kilometres from this holiday camping site. This region of northeastern Spain has always been known for its amazing climate throughout the year. Still, the summers here are not as stiflingly hot as they are in more southerly locations. Evenings tend to be quite cool and breezes from the interior mountains allow sleeping to be very comfortable. The warming rays of the sun are ideal for anyone hoping to get a tan and naturally, the Mediterranean Sea has attracted visitors throughout the year. This camping holiday is made extremely comfortable with the help of on-site conveniences. Visitors are provided with dedicated water and power supplies to each mobile home. It is easy to keep up with the world thanks to wireless Internet connections. 101 individual washing rooms and 2 completely private bathrooms for hire are found here. Washing machines, tumble dryers and wheelchair-accessible facilities are other features of this luxury camping site. Guests will never be forced to starve or go thirsty during their stay. 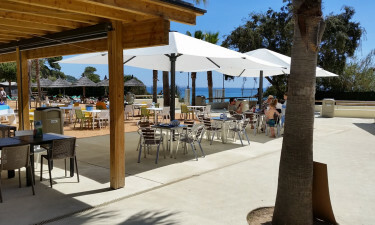 The sense of camping luxury is enhanced with the presence of a large restaurant that overlooks the beach. Guests can dine indoors or on a large terrace. A takeaway menu is available while both Catalan and international dishes are sure to satisfy one's cravings. A bar here serves up local "tapas" (finger food) as well as tasty drinks and a selection of fine Catalan wine. A massive supermarket is open every day of the week and is fully stocked with all of the necessary provisions that a family will require. Fresh fruits and vegetables, bread, fish and meat are a few examples. International newspapers and a tobacco stand are found here as well. It is always possible to learn more about this luxury camping resort by speaking with a qualified representative from LUX-camp.